It is incredible to think how advanced wrist watches are becoming today. The top smartwatches are almost as advanced as some computers were ten or twenty years ago. These new smartwatches are exciting – and we cover them a lot on these pages – but they aren’t the most exciting thing in the watch business. There are a lot of incredible watches which don’t have all of the features that the latest Apple Watch has! Such as the of the incredible automatic watches you can find on the market So today we’re going to check out some of the amazing automatic watches that don’t need batteries. How Do Automatic Watches Work? The amazing thing about automatic watches is that they do not require a battery inside the watch in order to work. Instead of using a battery, automatic watches generate their own power by using the kinetic energy generated by your movement. What this means is that whenever you’re moving about, you’re generating energy to power your watch – how cool is that? The only real downside to watches that don’t need batteries is that if you don’t wear the watch regularly, it does not get enough energy to keep accurate time. This is worth bearing in mind if you don’t plan on wearing your automatic watch every day. Thankfully, if you are planning on keeping an automatic watch on the shelf for a prolonged period of time, you can still wind it manually to keep it running. The Seiko 5 automatic series has often been called the best value automatic watch series on the market today. 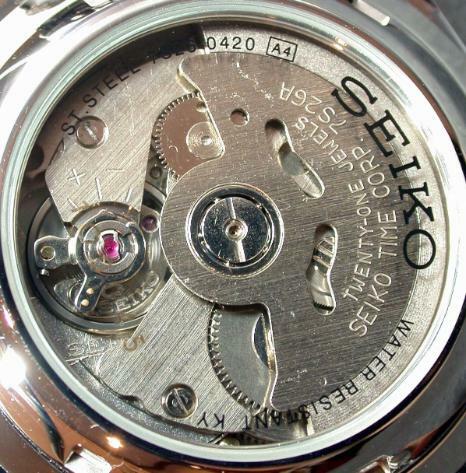 As mechanical movements are often the most desired by serious watch collectors it is rare to find watches as well made as those in the Seiko 5 series at such affordable prices! 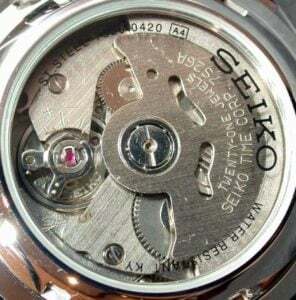 When it comes to watches that don’t need batteries it’s important to get a reliable movement and the movements in Seiko 5 watches are well known for being reliable. The only downside to the Seiko 5 watches are that they focus more on being functional than beautiful, but the trade-off is that you get a fantastic mechanical watch at a great price. If you’re want to add an automatic mechanical watch to your collection but you don’t want to break the bank then the Seiko 5 Automatic series is where you want to look. Hamilton are one of the iconic watchmakers with a very proud history. 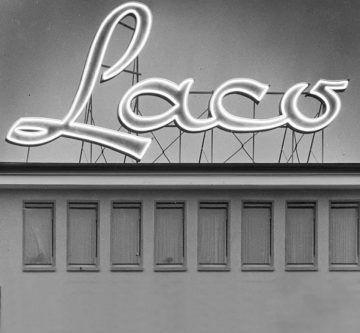 The company has its roots deep in American history, as the company was founded in Lancaster, Pensylvania. 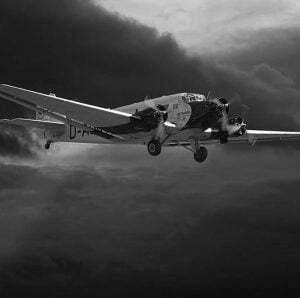 The Hamilton Watch Company was based in the United States up until the early 1970’s when the company was taken over by SSIH (who went on to become the Swatch Group). 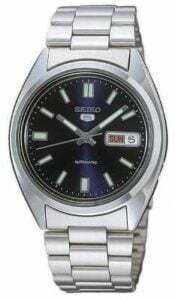 The Jazzmaster isn’t in the category of watches like those in the Seiko 5 sseries which are on the ultra affordable end of the scale. The Hamilton Jazzmaster watches generally come in at the £350-£1000 mark. But you do get fantastic quality for the money you pay. The Jazzmaster watches are available in both quartz battery powered and automatic mechanical movements. 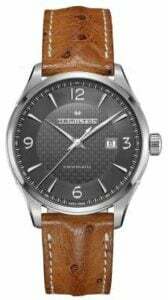 There is no doubt that if you are looking for a stylish autmatic mechanical watch then the Jazzmaster series is exactly what you need to take a look at. 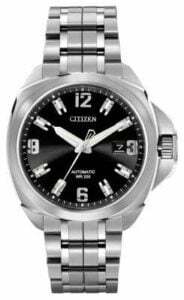 Citizen are one of the most recognisable watchmakers on the market and they do a great job of producing watches for all budgets. The Citizen Grand Touring Signature Automatic collection includes fantastic watches that don’t need batteries at the £500+ range. 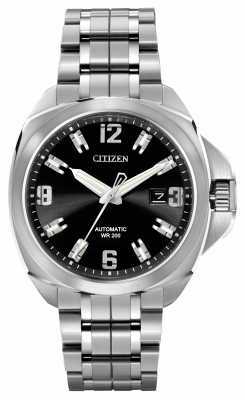 There is no doubt that any watch collection would be improved by one or two Citizen Grand Touring watches. The most exciting aspect of the grand touring collection is the authentic Japanese automatic movement produced by Citizen. The Miyota 9100 automatic movement was has been produced exclusively for the Signature collection and ensures that it stands apart from other automatic watches in the same price range. 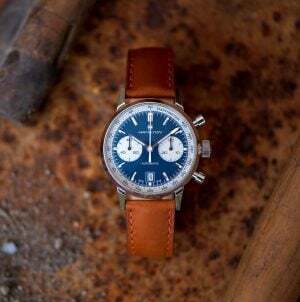 While the technological revolution of recent decades has brought about some incredible watches, classic mechanical movements are still incredibly impressive. All of these watches would add something unique to any watch collection. There are options at all price ranges, like the Seiko 5 Automatic watches at entry level prices or the much more luxurious option at the higher prices. If you are looking to add something different to your collection then one of these watches that don’t need batteries is exactly what you should be looking for.